Escape to Ireland with one of our unique cycling or walking tours. Allow yourself to be awe-struck by the beauty of your surroundings. Feel at home with the genuine warmth of the local hospitality. Let the salty sea breezes soothe your senses as you explore Ireland’s most off-the-beaten-track region. Ireland by Bike was born from our love of bike touring and a passion to share our wonderful area with you. We have been providing bike tours here since 2010. 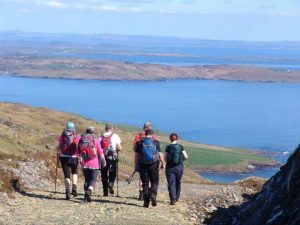 For 2019 we are offering a full range of cycling and walking holidays throughout the North West region. So if you want to visit the area that national Geographic Traveller has named the coolest destination on earth for 2017, join us for an unforgettable biking or hiking adventure. 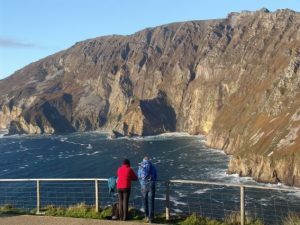 As National ambassadors for the Wild Atlantic Way, Ireland by Bike aims to ensure you experience Ireland at it’s very best.